Astronomers are said to have created a large-scale structure map of the universe which is based on the positions of quasars. Quasars are said to be the brightest and distant points of light that are being powered by the supermassive black holes. “Because quasars are very bright, they can be seen all the way across the universe,” said Ashley Ross of the Ohio State University in the US. “That quality makes them the right objects to use to make the biggest map yet,” said Ross. The super-massive black holes found at their centre is what that gives them amazing brightness. When energy and matter fall into the black hole found in quasars, they increase their heat up to incredible temperatures and emanates with a glowy look. The brightest glow that emanates from the quasars is detected by a dedicated 2.5-metre telescope mounted on Earth. “The distance of quasars is so big that they light left them when the universe was about three and seven billion years old, long before the existence Earth,” said Gongbo Zhao of National Astronomical Observatories of Chinese Academy of Sciences. 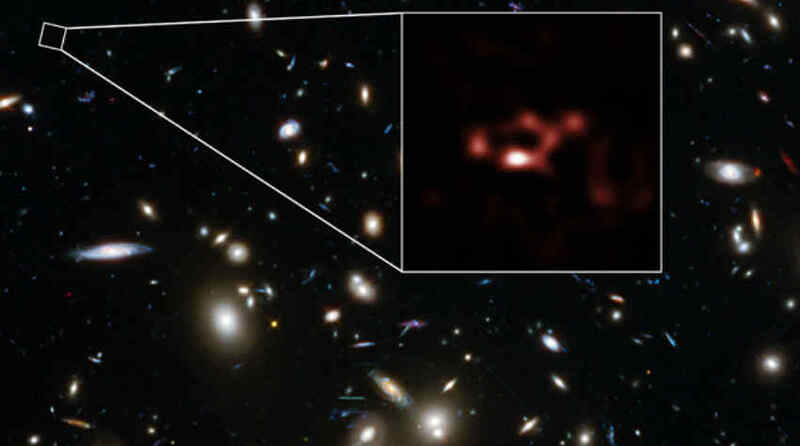 To make the map a reality, scientists are using the Sloan Foundation Telescope to keep eye on the unprecedented number of quasars. Within the first two years of Sloan Digital Sky Survey’s Extended Baryon Oscillation Spectroscopic Survey (eBOSS), the accurate measurement of three-dimensional positions they had was more than 147,000 quasars. The telescope’s observations provided the team with the quasars’ distances, which enabled them to create a three-dimensional map of where they could find the quasars. The study of “baryon acoustic oscillations” (BAOs) was one f the clever techniques used to understand the expansion history of the universe. The universe was said to be denser and hotter than what we have today. BAOs are the record of the present-day imprint of sound waves which traveled through the universe in earlier days when it was much hotter and denser than the universe we see today. At the age of 380,000 years old, the universe sound waves were “frozen”. The frozen waves are imprinted in the three-dimensional structure found in the universe of today. The results of the current studies confirm the standard model of cosmology built by researchers over the last 20 years. However, the universe still follows the predictions of Einstein’s General Theory of Relativity but includes some components whose effects can measure by us but cannot understand the causes.